Find the perfect time for people in different time zones. Looking for the iOS version? Green = General working hours. Yellow = General non-working hours. Red = Normal sleeping hours and public holidays. 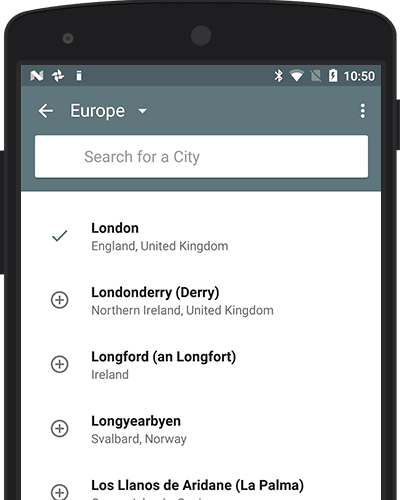 Add an unlimited number of cities from 5000+ locations worldwide. 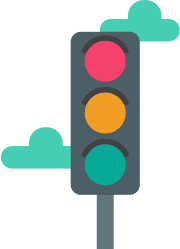 Look for the green time slots to plan a business meeting, yellow times for private calls or meetings outside of normal business hours, and avoid the red hours if you don’t want to wake someone up. Your meeting is automatically saved when you are done. 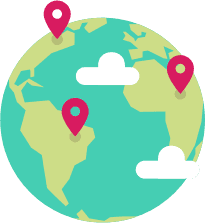 Via email – includes the local times for all locations. Online – view online with the timeanddate.com Meeting Planner. 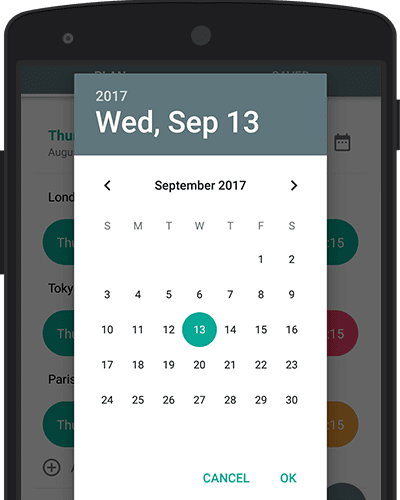 In your calendar – imports the ICS calendar file to your calendar app. 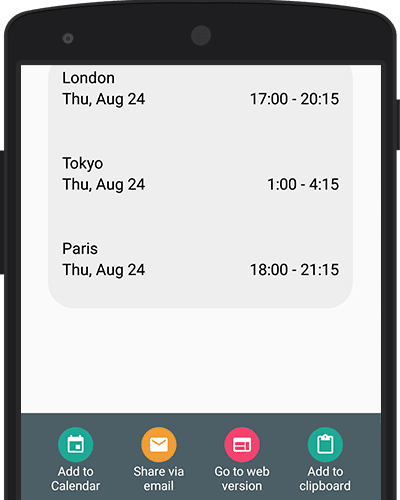 Duplicate – to create a new meeting with the same locations. 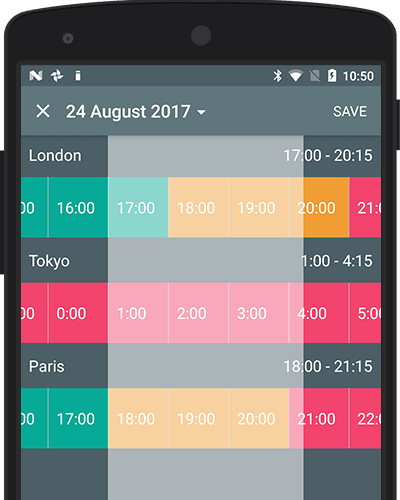 The app takes all Daylight Saving Time clock changes worldwide into account. 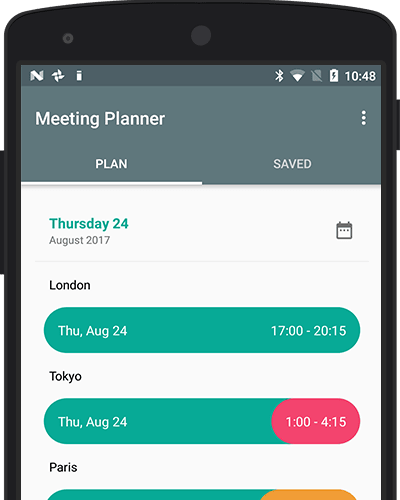 Get Meeting Planner App Now!